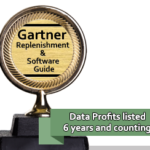 Atlanta, Georgia – February 2, 2017 – Data Profits Inc. (www.Data-Profits.com), a leading provider of mid-market retail forecasting and replenishment software, is proud to announce that they have been included in the prestigious Gartner Inc. 2016 Market Guide for Retail Forecasting and Replenishment Solutions for the fifth time. Vendors included in the 2016 Market Guide are scored on an array of capabilities including customer size, geographic area served, being hosted on a common technology platform, as well as multi-channel planning capability, solution quality and accuracy. 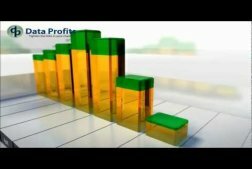 The Data Profits solution enables small and mid-market retailers or distributors to gain operational efficiencies, higher profits and ROI results similar to those generated by the largest retailers using bigger and more expensive systems. Data Profits’ iKIS™ enables our customers to “Tighten the links in your chain”™ by optimizing inventory levels using a highly accurate forecasting and re-ordering planning process. This dual mode, flexible process simultaneously minimizes holding costs while also ensuring high levels of “in-stock” conditions to maximize sales across the 10,000’s of SKUs that retailers typically carry at their many stores. While the Gartner report also highlighted the future need for SCPSOR features such as Machine Learning and inclusion of “weather data” in planning, Data Profits continues to highlight the more immediate and impactful use of foundational features such as forecast accuracy. Of particular note is Data Profit’s support in calculating true “demand” and “lost sales” within their multi-channel forecasting and planning system. Dunkin said, “We believe that customers should seek out the basic SCPSOR forecasting and replenishment optimization capabilities before they seek to implement the newer and more abstract features such as Machine Learning.” Gartner’s own 2014 survey found that a majority of supply chain executives agree with Data Profits. The 2014 Gartner survey listed forecast accuracy and demand variability as the top requirements of any SCPSOR. The iKIS system delivers unique results in these key areas using a single hosted technology platform with no need for custom code or cumbersome deployments, enabling rapid ROI results for customers. Data Profits iKIS™ enables retailers and distributors to “Tighten the links in your chain”™ via their SaaS based Forecasting and Replenishment planning solution. 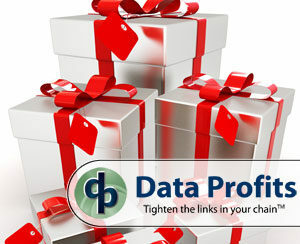 To learn more, contact us via email at sales@data-profits.com or at 770-574-4100 or www.data-profits.com. Any trademarks used in this release are the property of their respective owners and their use herein is made to clarify, educate or inform the reader of specific capabilities used in this announcement. 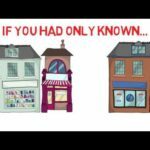 Other parties’ trademarks or service marks are the property of their respective owners and should be treated as such. Omni-Channel Fulfillment: Cure for the Common Cold or Hiding the Truth?